[Doug has heard] regardless of price." far from light- or thin-sounding" -- "tight, well-defined bass presentation." Features Proprietary drivers and handsome looks; shielded; matching stands add $200 to the price; grilles are a $170 option. Use "You will need a little bit of amplifier muscle behind these speakers"; tweeter level and bass contour are adjustable. Value "An outstanding bargain that should be on every small-speaker lovers list." I look at big speakers and sometimes gasp. While some audiophiles actually dream of owning speakers as big as their refrigerators, I shudder at the thought. I dont necessarily detest big speakers, but there are some practical considerations to keep in mind. First, there is aesthetic appeal -- the weight, physical size and overall bulkiness of big speakers just dont really appeal to me. Second, I hate the notion of having to dislocate my back every time I want to adjust toe-in or move the speakers further from the wall. Finally, and most importantly, I want to know I'm attaining the best possible sound in a particular room. In reality, many people dont have rooms that are all that big -- and that includes some very influential audio reviewers. I laugh myself silly every time I read somewhere that a writer attempted to write an "authoritative" review on a behemoth-sized speaker and he had the speakers in a room smaller than my bedroom. Whats the use? Is he really hearing what the speaker is capable of? Enter the Revel Performa M20 ($2000 USD per pair), a precise and polished small loudspeaker that is ideal on its own for creating top-notch sound in the right-sized room. Revel is part of Harman International. It is an upscale loudspeaker brand that first took aim at the state of the art with their unique Gem stand-mounted monitor and dedicated subwoofer -- a potent combination that can fill a large room. Since then theyve added speakers like the high-end, and floorstanding, Salon and Studio models. However, these speakers, with their nearly cost-no-object approach to design, are aimed at the well-heeled crowd. So the company has now trickled down their technology with their Performa series, a more affordable lineup that includes the M20 along with a bigger, more expensive floorstander, the F30. Two people at Revel well known in the speaker-design world are Dr. Floyd Toole and Kevin Voecks. 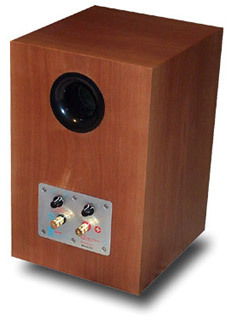 Voecks worked for Mirage and Snell and has produced many highly regarded speakers. He is known as a designer who values science and measurements in addition to critical listening. Toole came from a background of research at Canadas National Research Council. His work, which gained full steam in the 80s, involved correlating measured speaker performance with subjective listening. This groundbreaking work is the basis of design methodology that is still used by some of the most formidable loudspeaker companies today, including Revel. Its no surprise, then, that Revel is a company that not only has top-notch talent, but top-notch equipment at its disposal as well -- several anechoic chambers, advanced measuring gear, blind-listening rooms, you name it. And out of all that come some pretty nifty designs, like this one. While Tooles research produced much data, he boiled it all down to three common attributes found consistently in good-sounding speakers: wide bandwidth, controlled off-axis dispersion, and low distortion. The M20 is designed to meet those criteria. The woofer is a 6.5" inverted-magnesium-alloy dome with a die-cast basket. It is said to allow large excursion and have low distortion. The tweeter is a 1" ferrofluid-cooled aluminum-alloy dome. Both drivers are unique to Revel. The M20 is shielded, so it can be placed close to a video monitor and not cause problems. The M20s crossover point of 2.2kHz was chosen to use the tweeter for optimal dispersion down to a fairly low level, where it then hands off to the woofer. Since the woofer is not forced to produce too high a frequency, it wont beam (i.e., become directional, which is what larger drivers do as the frequency increases). In order to go down this low with the tweeter, a high-order crossover was used (fourth order). The result is a speaker that disperses its sound into the room evenly, even far off-axis. This, in turn, makes it more room friendly because it takes into account reflection points of the walls, floor, and ceiling. Obviously, with a small speaker, the one thing you do compromise is low-frequency response. The M20 is rear ported, and the company rates its frequency response down to 46Hz -- in-room. While bass freaks may want more extension, I must say that for music I found the M20's bass wholly satisfactory and very nicely fleshed out -- its not a lightweight speaker, and Ill expand on that in a bit. For those who do value real bass, you may wish to opt for a subwoofer (perhaps Revel's Performa B15 sub) or go for the bigger F30. Like I said before, though, before you think about going bigger, think about your room first. Sensitivity is rated at 87dB, and the impedance is said to be a nominal 6 ohms with a 4.4-ohm minimum. You will need a little bit of amplifier muscle behind these speakers, but most reasonably priced solid-state amps with good power supplies will suffice. The speakers pristine clarity may temp some to match them with a low-powered tube amp, but I dont think that this would be appropriate given the power they need. Finally, a nifty aspect of the M20 is found on the back, where you find two dials. One dial affects the tweeter output level. It can be adjusted +/- 1dB, which can help to compensate for excessively dull or overly bright rooms (or for overly aggressive electronics). There is another switch that contours the bass response for stand mounting (the M20 has its own dedicated stands that screw to the bottom of the speaker) or for mounting the speaker close to a wall. When the speakers are out in the room on stands, away from boundaries, more bass output from the speakers is desirable. When they are flush to a wall, where the wall will reinforce the sound, you'll want less bass to avoid overload at certain frequencies. I used the dedicated stands that screw on to the bottom of the speakers (approximately 29" tall and priced at $200 for a pair) and positioned the speakers at least four feet from all boundaries. The M20 comes in a real-wood veneer and is available in rosewood, sycamore, black ash and cherry. It is a unique design that you can have look quite techie if used without the grille, or appear more subdued and elegant with it (the grilles are optional and priced at $170 per pair). Overall fit, finish and quality of workmanship are very good and comparable with other nicely finished speakers at this price point. 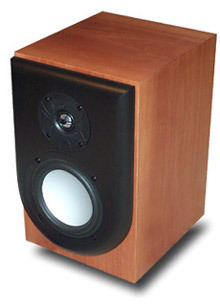 As the Performa M20s entered my listening room, the Monitor Audio Silver 9i were just leaving. Both speakers were priced the same. The sonic resemblance, particularly in the midrange, was uncanny. They both have exceedingly low coloration through the midrange compared to so many other speakers at this price point, which results in an almost starkly clear presentation thats akin to a lowering of the noise floor with electronics. Its almost disconcerting at first since were often used to hearing a more obscured, chesty nature in some speakers that can sound more voluminous but less precise. Things like sibilance, hash, and graininess are virtually not existent unless they are right in the recording. Some may classify this type of presentation as slightly dry or even cold, and they may be right, especially in comparison to other speakers. However, I would also say that the M20s' presentation sounds right because it is very realistic and natural to my ears. Loudspeakers  Axiom Millenia M3Ti, Cliffhanger CHS-2/W-2, JMlab Chorus 706, PSB Image 2B. Amplifiers  Blue Circle BC2 mono amps, Redgum RGi120 integrated amp. Preamplifier  Blue Circle BC3000. Digital  Audio Aero Capitole 24/192, Resolution Audio CD55, and Simaudio Eclipse CD players. Interconnects  Nirvana S-L, Nordost Quattro-Fil. Speaker cables  Nirvana S-L, Nordost Red Dawn II. Accessories - Nordost Pulsar Points. While I tend to zero in on the midrange performance first, after some time listening, its apparent that with the M20 this same character extends both ways to the bass and upper treble. The M20 is not a thick-, warm- or robust-sounding speaker. Instead, it is a neutral, revealing, and precise-sounding monitor that I classify as highly precise. Vocals, both male and female, are very articulate, with an extremely natural presentation and an astounding degree of clarity. Drums are fast and visceral. String instruments are precise and highly detailed. High frequencies proved interesting, and I can imagine there are some who may wish to fiddle with the treble control, although I left it flat. I would not call these speakers bright at all, but they are very extended, which could exacerbate some problems in either a room or with the electronics theyre used. They are certainly not dull. They are lively, in much the same way as speakers from JMlab, Merlin, Athena, and Energy. Used with Nordost Red Dawn Rev. II cables, the M20s displayed upper frequencies in about as extended and detailed a fashion as Ive heard. Perhaps in a very bright (i.e., reflective) room or with electronics that are bright inherently, some may turn the treble controls down just a tad, but I felt no urge to at all in my room, even with hardwood floors and a throw rug. On the other hand, I doubt that anyone will turn the treble up unless the room is excessively dull-sounding. I like to listen to a variety of music to determine how a speaker "survives" through the multitude of musical choices it may come up against. Im particularly impressed by the sound of many of the older songs on the soundtrack to the movie The Virgin Suicides [Emperor Norton 7029]. I grew up with songs like "Magic Man" and "Crazy on You" by Heart, and "Come Sail Away" by Styx. Unfortunately, though, many of these songs sounded good on vinyl but poor on CD (usually due to mastering). However, this is a good, clean-sounding disc with which some care has been taken in the transfer. It also has excellent frequency extension and definition. I played it plenty at very high volumes on the M20s throughout my time at home in the Christmas season. What impresses me with these speakers is how well they can handle this old, arena-type rock. Many audiophile speakers simply fall apart or dont impart any life into the music. The M20s can play loud (which is whats needed a lot of the time with rock) and sound exceedingly clean in the process. Their dynamic agility is very good for a smallish speaker. Ignore anyone who says audiophile speakers aren't intended for rock -- a good speaker should be able to play any type of music, and these do. Gladiator [Polygram 467094] is also a good-sounding soundtrack. This Hans Zimmer score is very full range. Unlike the straight-ahead rock of The Virgin Suicides, this disc has plenty more attributes to test out your system. There is a low end that will have bass freaks testing their subwoofers, along with scads of musical detail and a soundstage that spreads from here to there and then waaaaayy back. Really deep bass through M20s is definitely missing, but these speakers are far from light- or thin-sounding. They have a tight, well-defined bass presentation that has "whump" and "wallop," much like JMlab's impressive $7000 Mini Utopia. They dont go as low as, say, Speaker Arts Clef series, which use an 8" woofer, but they do hit as low as any other speaker around their size. And while ultimate extension is important, it's not everything. You can find plenty of less-expensive speakers that go lower in terms of bass. But thats not why you would look to the M20. Whats key about this speakers bass is the tightness and control I mentioned -- in other words, the quality. Bass drums hit with authority. Low notes on piano and guitar are vividly textured and always in control. The bottom range of real extension isnt there, but the foundation is solid. And remember what I said about room size: set these up properly in a small to mid-sized room and they will slam home with guts of a larger speaker in a larger room. They have small-scale authority and control, similar, again, to the Mini Utopia and Merlins popular VSM-SE with BAM. The ability to cast a huge and expansion soundstage is impressive. Lateral precision is extremely good, with images that are rock solid in space. As usual, for part of this test I turned to "Everest" from Ani DiFrancos Up Up Up Up Up Up [Righteous Babe Records RBR13-D]. Her vocal here is far left of center, but with precise speakers like these, it floats effortlessly and realistically in space with an almost eerie realism. The M20s are not quite as precise as the Mini Utopias, but they are very close (the Minis are the most precisely imaging speakers Ive heard, providing your head is held vice-like in the center and at the exact height needed). And even with a large gap between each M20, say eight to nine feet, I achieved good center fill. Depth of image and a sense of spaciousness are simply excellent. Finally, I went back to Gladiator. "The Battle" plays like an anthem. Its a powerful piece with a grand sense of space. When I close my eyes, the walls simply disappear and Im awash in an enormous soundfield, despite listening to what are essentially pretty small speakers. While breaking things apart and describing each of the frequency regions separately can give some interesting insight, the important thing is how a speaker comes through "on the whole." If I had to pick just one word to sum up the M20s it would be neutral. If I had a second word to choose, I would pick honest. And its that second word that really tells the most about them because, in fact, the M20s are almost too honest for their own good. Say what?! Frankly, I could see some audiophiles coming away from hearing the M20s unimpressed. They dont really have any sound of their own to latch on to. There's no bloat or exaggeration, no overly warm tonal balance, and certainly no deceiving peaks or valleys that give a speaker a "sound." Like it or not, sometimes what audiophiles find impressive is really a deceiving distortion that simply sounds good to their ears -- for a while anyway. But Ive learned that speakers can be like relationships: a quirky little characteristic can be endearing at first, and it may even be what draws you in initially, but often it can become aggravating after not too long a time. This M20 has none of those quirks. People dont buy small monitors for deep bass or large-scale dynamics. Instead, speakers like the Revel Performa M20s offer much of the performance of much more expensive speakers, except for the deep bass. That said, the M20 is probably the best bookshelf-sized speaker Ive heard, regardless of price. I really like this speaker. Its precise, has good extension given its size, and sounds exceedingly clean -- exceedingly. Its not cheap, but it exhibits exactly what upscale high-end audio is about: excellent build quality and expert engineering. In these veins, I see it as an outstanding bargain that should be on every small-speaker lovers list. Price: $2000 USD per pair; stands add $200; grilles add $170.